Join us for fun packed 24 hours either book your ticket (below) or just turn up and pay on the door! Fun Activities and information from experts. Join our education team in the barn and learn how to explore the nature in our garden and in your own. Make mammal footprint traps, and learn where and how to look for wildlife. 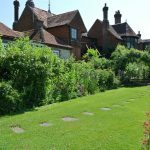 Walk with Tim Norriss (Hampshire Swifts) and discover the swifts in Selborne and the efforts being made to preserve their nesting sites. We will be exploring the night time world in Gilbert White’s garden, take a walk with our bat detectors and discover the world of bats. View the newts in our pond by torch light. Discover The hidden world of beauty, deception and mimicry. Created by over 200 million years of moth evolution. 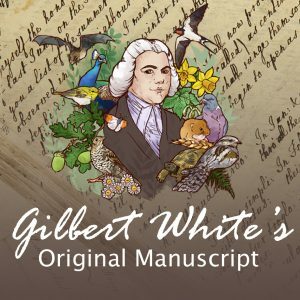 Moths are sensitive indicators of the health of the natural environment and a vital part of the food chain a fact that didn’t escape the attention of Gilbert White. Help us discover and identify the plants animals and fungi in our grounds. Choose from fungi hunts, pond dipping, bug hunting, plant identification, butterfly transects. Our experts will help you record your finds. We found 335 different species last year, and made 480 records on the day, so can we beat last year’s record? Local Actress Naomi Capron reads magical stories from The Wonder Tails showing how Britain’s best-beloved wild creatures came to be the way they are. The Wonder Tails is Written by Nickhola Susanne La Brooy. John Goodspeed of the British Ornithological Trust and discover why your garden is an important habitat for our bird populations. Marina Christopher from Phoenix Perennial Plants explores the relationship between plants bees and other insects. Discover how what you plant can make a big impact on your wildlife. Tim Norriss from Hampshire Swifts talks about these delightful and fascinating birds, and the efforts being made to maintain and expand their nesting sites.